MJW Drywall and Spray Foam Insulation is a proud family owned company based in New Hampshire. MJW Drywall and Spray Foam Insulation is a proud family owned company. We have committed to the highest standard of workmanship, and always strive to develop long lasting relationships with our clients. We want you to learn what our organization and our product can do for you in these times of ever rising energy prices. We specialize in new injection foam insulations and spray foam insulation technologies that allow you to insulate your existing home without tearing down walls. MJW also specializes in door and window replacement, energy efficient light fixture retrofitting, drywall installation, energy audits, and cellulose insulation. Michael Wilson, owner of MJW Drywall, LLC, has been in the construction field for the past 17 years. Michael and his team have experience in various aspects of construction that have made them the premier insulation company in New England. Mike has extensive experience and dedicated research time reinforcing his knowledge of insulation. This background allowed MJW to choose Gaco Western as the best supplier of foam insulations. Mike and 2 of his employees are certified in foam mechanics 101 A and 101 B through the SPFA (Spray Polyurethane Foam Alliance). Mike is also roofing foam certified through the SPFA and an authorized installer of BASF premier line of closed cell foam called Comfort Foam. Mike’s continual education in spray foam has helped him achieve his certification with SPFA and to become a member of the SPF. Michael also holds a certification in injection foam by Trypolymer. 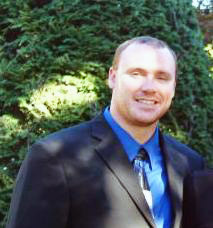 In 2009 mike went on to get his BPI Building Analyst and BPI Enveope Specializst certifications. He also took the Massachusetts Contractor Supervisors License test. Four of MJW’s team are BPI Certified along with 3 of the team being certified for spray foam by BASF. Mike also holds a Construction Supervisor’s License in Massachusetts as well as a HUD Lead Safe Renovation Certification and EPA Lead Safe Certification. Mike also has his OSHA 40 hour and eight hour Focus for Hazards and Construction Certifications. Call MJW today for a quote on Spray Foam Installation (603) 601-6283.